Recently I found out about existence of HQ Compatible. But i don't understand anything about this. Do you know what is it for? Where can i make this? P.S. Sorry for my English. I'm russian, so sometimes i use translate's programm for this. 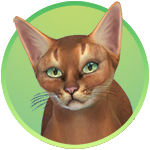 I moved this thread to Sims 4 Chat section since Creator Help is intended for questions about own projects made in Sims 4 Studio. Regarding your question, you can read a description of HQ mod here in Russian.